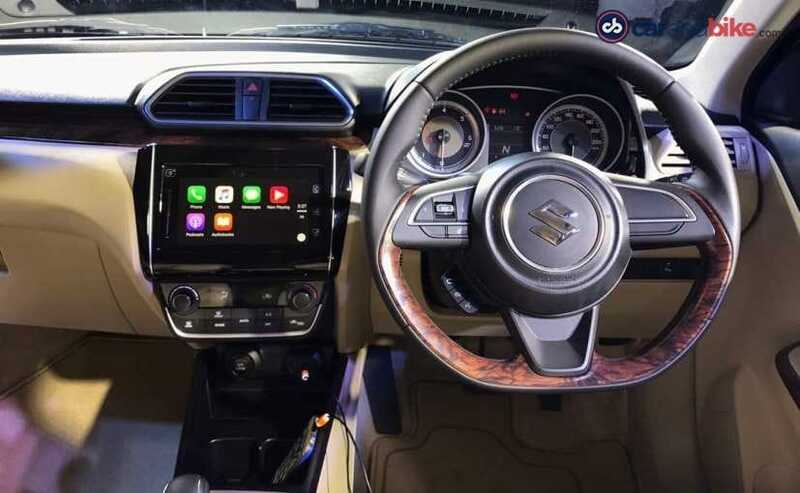 We take a look at the interior design and features of the brand new Maruti Suzuki Dzire and also tell you how much more space the new sub 4-meter subcompact sedan now offers. Maruti Suzuki India has finally pulled the wraps off the 2017 Maruti Suzuki Dzire and the car has truly gone through a major makeover. Apart from the updated exterior design and styling, which have made the car a lot prettier, the company has also extensively worked upon the interior of the third-generation Dzire. For starters is a lot more luxurious and upmarket as compared to the earlier models and also gets a lot more tech thrown in as standard equipment on the higher spec versions. The new Dzire now also gets a touch screen infotainment system, which makes it a lot more current as compared to its rivals, but, more on that later. The 2017 Maruti Dzire will be launched on 16th May, 2017 and the bookings will begin in the first week of May itself. Let's start with the actual design of dashboard first. The dashboard on the new Dzire is completely different in terms of design as compared to what the new Swift hatchback gets internationally. Maruti has played it safe with the overall design by opting for a set of almost conventional looking rectangular AC vents up top and a layered dashboard design approach. The lower half of the dash is a light shade of beige, whereas the top half is finished in a shade of dark grey so as to keep the reflections in the windscreen to a minimum. The new 2017 Maruti Suzuki Dzire also gets several faux wood inserts. On the dashboard, the wood trim differentiates between the top and bottom half and is a good differentiator in this segment. 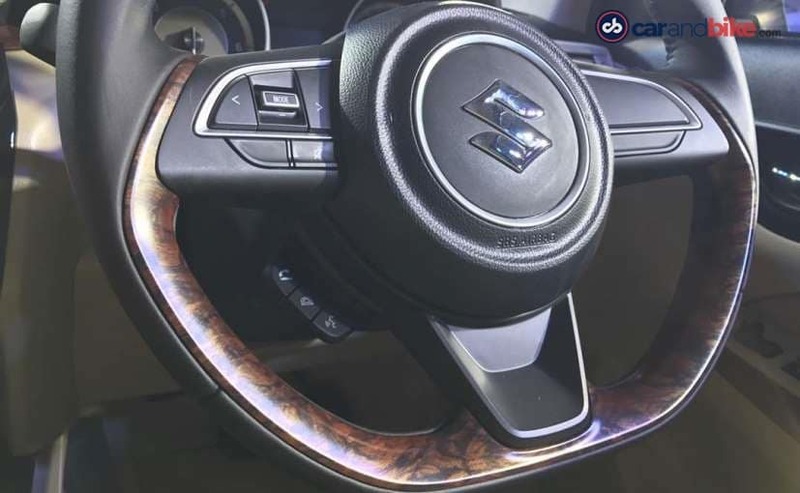 The door panels and steering wheel too have the same matte finished wood inserts and the steering wheel itself is flat bottomed and quite sporty. Here is everything that you need to know about the new Maruti Suzuki Dzire. The top of the line ZDI+ spec showcased here gets the large touchscreen in the central console like the one you get on the Ciaz, Ignis, Baleno and Vitara Brezza. 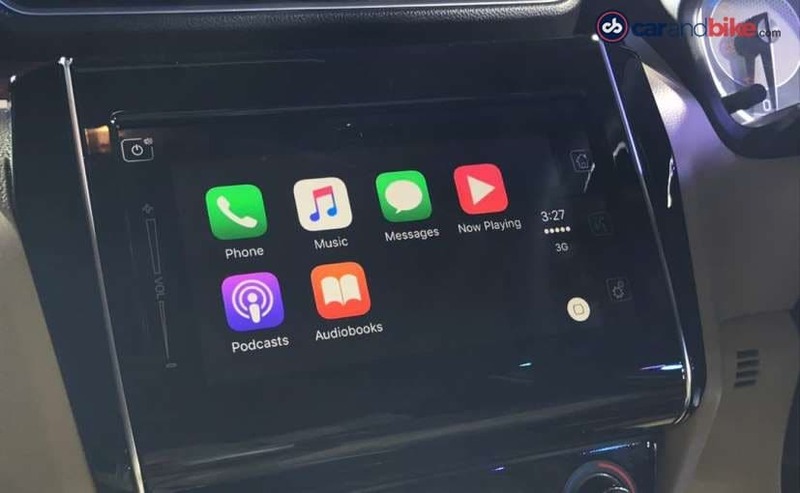 The screen itself offers Apple CarPlay, Android Auto and Mirrorlink and comes inbuilt with navigation and Bluetooth. The touchscreen bezel is finished in gloss black and the climate control panel is complimented with a brushed aluminum accent piece. There are two cupholders in the central console and a cubbyhole that also has the 12 volt socket and the USB/AUX ports. The central tunnel’s lower half is finished in the same beige shade as the rest of the dashboard but the centre console itself is finished in a shade of matte grey – similar to the likes of the older Dzire. Here are some important milestones in Maruti Suzuki Dzire's journey in India. The new Dzire is not only a complete redesign on a new platform, but also much roomier on the inside. The 2017 Maruti Dzire has a longer wheelbase (by 20 mm) and is wider too. The distances between the front and rear wheels too have increased and so has the shoulder room. The front seats are now 20mm further apart and the shoulder room in the rear has been increased by 30mm. The seats are fabric and get two upholstery options (one for L and V trims and the other for the Z level trims). 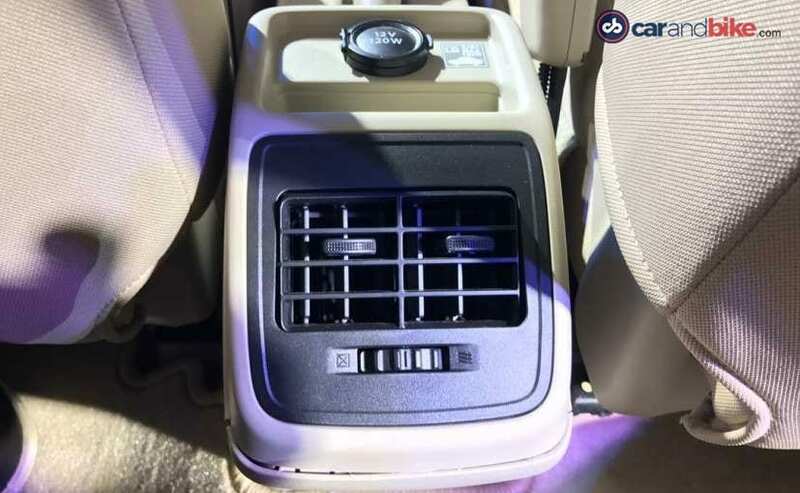 The rear also now gets a set of mid mounted AC vents which is a huge help in a hot country like ours and the other convenient features like a flip down hand rest continue to be offered. The rear seats also have ISOFIX child seat mounting points as standard. 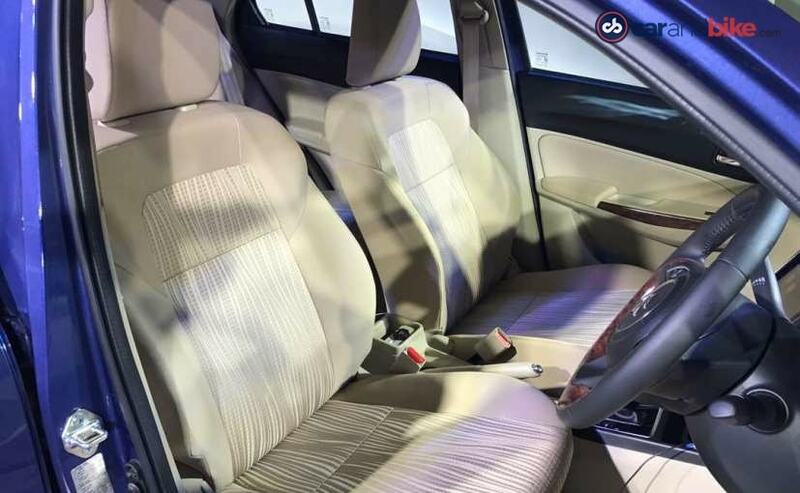 While the Maruti Suzuki Dzire is not a revolutionary step up in terms of interior design, the car does offer everything the Indian customer currently wants both in terms of comfort and convenience.